Mid Bloomer. 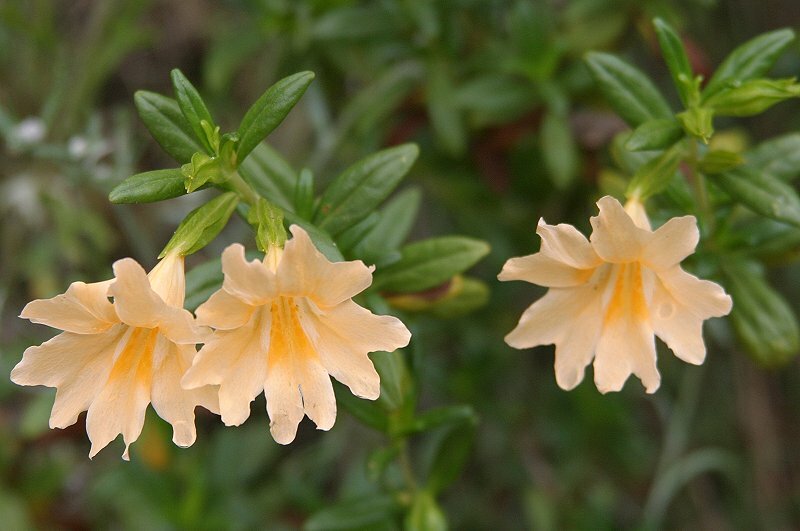 Yellow-salmon flowers, sticky stems and leaves, small shrub found on sunny slopes and in rocks along the river bed. Notes: Figwort (snapdragon) family. The genus name is form the latin word mimus, a comic actor, because the flowers have ‘grinning faces’ like the masks of early actors. There are about 100 species growing worldwide in temperate areas. Some have a strong odor. The young leaves and stems are edible, raw or cooked. The leaves are bitter but milder when cooked. Native Americans used the young stems and leaves for salads. The raw leaves and stems make a poultice for wounds. The salty leaves and stems were also used as a flavor enhancer. 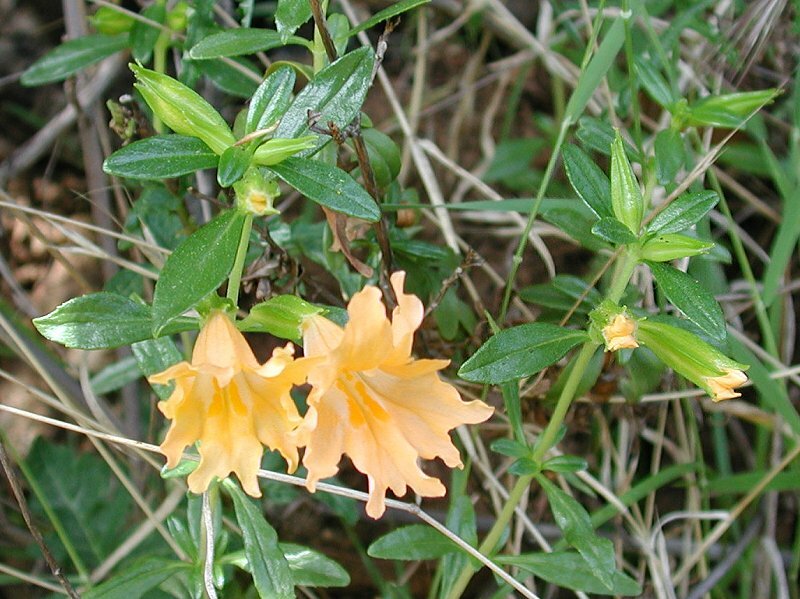 Our species is an unusual pale orange color: aurantiacus means ‘orange-colored.’ It was formerly Mimulus longiflorus and is sometimes listed as Diplacus aurantiacus (for example by the USDA as seen below). Related species also found at Bridgeport: Seep Spring Monkey Flower.